Situated in the delightful little town of La Tranche, Bel is a quiet family-run parc which has received particularly high ratings from our customers. While small and relatively quiet, it offers you a lovely swimming pool as well as a super Scandinavian style play area, all of which makes it especially suited to families with young children. It is also just 500m from the longest south-facing beach in the Vendee, where you can swim and sunbathe, before trying a spot of windsurfing on the 'marine lake'. And the lovely town of La Tranche is right on the doorstep too, with its floral gardens, and wide choice of cafes and restaurants. 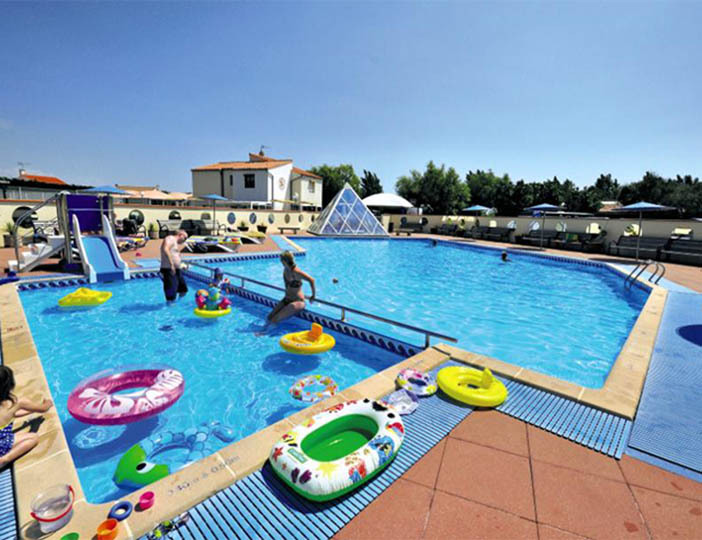 A leisure centre, which is payable, with indoor and outdoor pools is just 300m from the parc.